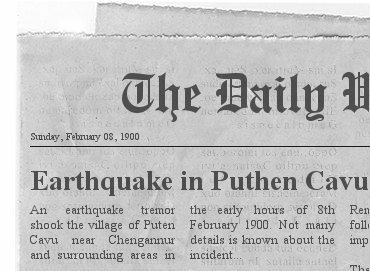 An earthquake tremor shook the village of Puthen Cavu near Chengannur and surrounding areas in the early hours of 8th February 1900. Not many details is known about the incident, however, it is well documented by Rev. 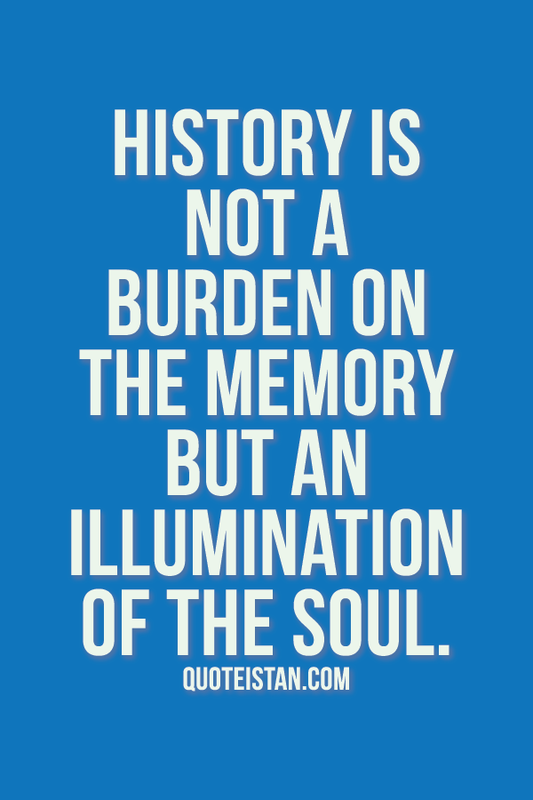 Thomas Walker in his book and passed on as oral legend by many elders. 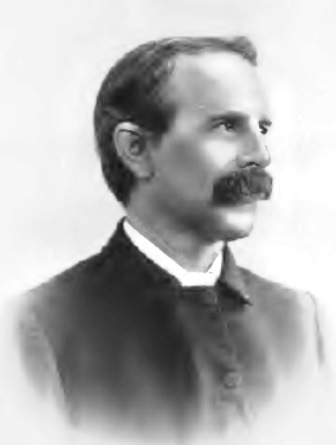 Thomas Walker was a principal speaker at the Maramon Convention from 1899 to 1912. In the early days of the Maramon Convention, due to the limited means of travel, guest speakers used to arrive days or weeks in advance. In this time they would attend fellowship meetings and deliver messages to nearby congregations. February 7. Last night we had a very solemn meeting, and I gave an opportunity to any seeking souls. Thank God, there were some; but oh, how many are indifferent, crowding to hear, but not willing to give up sin. The moment I had finished praying, some of the converted men struck up prayer of their own accord, red-hot if you like: they pleaded for the unconverted. Then came my trials. I asked those who had held up their Hands to stay behind, and a number did so. But the other people would stand all round. They are not accustomed to quiet after-meetings, and simply refused to go away, even when asked five or six times. 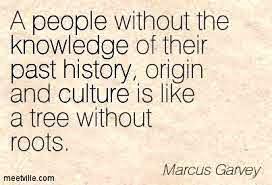 The Achans have no command over the people. At last I had fairly to drive them out before I could deal with those poor souls. In the C.M.S. churches here they have full control of their congregations; but in the Syrian churches, none. And they have made up their mind that they can have none. You cannot get a single Syrian congregation to go off quietly after a service, for the sake of either Christ or souls. It makes it very difficult to get at anyone who is impressed. We were at least twenty minutes getting the people (or most of them) away last night. It seems to me that it is a case of either taking after-meetings in the mass (which is most unsatisfactory), or not taking them at all. Well, one has just to go forward trust the Lord. He knows the circumstances, and can help. And, praise Him, He knows every heart which is hungering for Him. February 8. We had a solemn service last night, and sent them home with earnest warnings; but except for a quiet time on our knees, did not attempt an after-meeting. Well, in the very early hours of this morning I was suddenly roused from sleep to find the whole ground quivering with an earthquake. You have probably had the same shock. It seemed to last several minutes at least. I felt perfectly quiet under it, and then subsided towards slumber again. Not so the people. There were shouts and cries and prayers all over the place. There seemed to be a tremendous commotion. After a time they came thumping and knocking at my doors and windows, so I had to light a lamp and get up. My room soon filled with men, some converted and some unconverted. They quite connect the earthquake with the solemn warnings I have been giving here. I told them last night in the pandal that I could do no more, and must just leave them to God. I asked them to go home and say truthfully in His presence, I am saved, or I am not saved. Then followed this earthquake shock, and they immediately connected the two together. 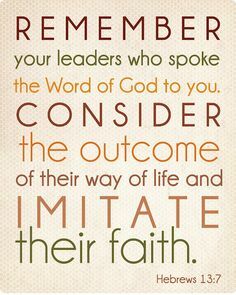 It seems in a real sense God’s confirmation of His word by signs following. Call it a coincidence if you please, with Divine before the coincidence. & quot; “Well, I spoke to them, and two young men professed to repent on the spot, while I warned again several others. I then turned into bed and went to sleep again. One of the Christians said, This morning’s meeting must be for the unconverted. It is against our practice, as the morning meetings are intended to help Christians; but I felt it was God’s will that I should go and preach on earthquakes. So I got some notes together, and a large crowd assembled. The Rev. T. K. Joseph turned up to help me. We had a very solemn time, and I told them that God was giving them another chance and a special warning.